Only a few players understand that even though what matters in sports is a win, perseverance is the major ingredient that takes you to that path and Rory McIlroy MBE, a professional player is among that few who truly understands the connection between these two facts. The Golfer has consistently created history with his golf skills and commands great importance for being the sixth best in golf world rankings. 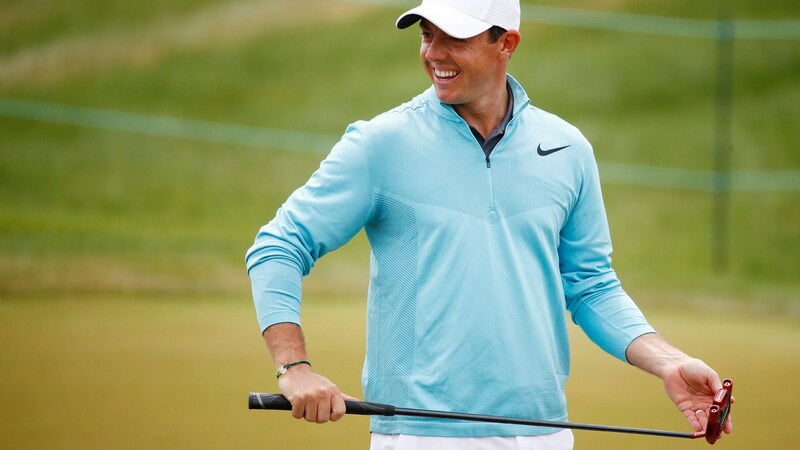 The great athlete, Rory McIlroy was born on the 4th of May in 1989 in Holywood County Down, Northern Ireland. He had his elementary education at St. Patricks Primary School and furthered in Sullivan Upper School. His parents Rosie and Gerry McIlroy had no other children so, the player sort of grew up without some intimate playmates. Luckily, his dad, Gerry McIlroy who is also a keen golf player and played at scratch handicap level provided him with a company by introducing him to the game of golf at a very early age. The game eventually turned out to be his best activity and Gerry who was also his coach often faced disturbance from his son to take him to Holywood Golf course almost every day. When his father realized that Rory McIlroy was becoming more and more passionate about the game, he decided to register him as a member of his home club Holywood Golf Club. This made the seven-year-old McIlroy become the youngest member of the club. Being a keen player, McIlroy got his first international recognition at the club after playing in the World Championship held at the Golf Resort & Spa in Doral Miami, Florida. The game was organized for children between 9 to 10 years old and he came out triumphantly. At age 15, McIlroy started playing as an amateur and participated in Junior Ryder Cup, a team golf game between the United States and Europe. This became his second great victory as he was among the team that won the game held at Ohio in 2004. That year, he got a golf scholarship to join East Tennessee State University as the school player. A year later, he won the West of Ireland Championship and Irish Close Championship. But what’s was more remarkable about the victory was the fact that Rory McIlroy became the youngest-ever player to win the two titles. This resulted in him abandoning his scholarship to further in mastering the game of golf in Europe Amateur. He continued to win consecutively and throughout these wins, he was setting records through his scores and shots. His successful amateur career gained a place in the professional golf sports in 2007 after he made several big hits that year including topping the World Amateur Golf Ranking for a week. Since the commencement of his professional career, Rory McIlroy has seen wins after wins. The Holywood born has become a big name in golf circuit that you don’t actually need to be a lover of the game to know him. Also, his way of making statements through his shots and scores at every tournament has been something that is well known in his club. The golfer is also the highest paid athletes active now and has a net worth of $ 250 million. McIlroy is married to Erica Stoll. Perhaps it was the love of golf that brought the two together because Erica is also involved in golf and had worked as an employee of PGA of America. They started out as friends in 2012 but both got blown away by each other’s friendship and company in 2015. The same year, they gave their relationship a new definition by becoming lovers. As their emotional journey became even stronger, the affair translated into engagement by the end of 2015. On 22nd April 2017, they wedded at Ashford Castle, Co Mayo and has maintained their true friendship since then. Before his marriage, McIlroy has had past relationships with women like Danish Tennis player Caroline Wozniacki and socialite Holly Sweeney. The golfer was also rumored to have dated Meghan Markle. Rory towers McIlroy towers over 5ft by 9 inches – which is around 1.79 m and good for a man. He weighs 73kg (161lbs) which suits his body frame and height. The sports guru is certainly not a professional bodybuilder so shouldn’t be expected to have those overly huge muscles and deeply-chiselled abs. Well, for McIlroy, bodybuilding doesn’t need to be his career before he gets that enviable body. He loves being at the gym and is super fit with well-defined chest, waist, biceps although their measurements are unknown.